We just celebrated the summer solstice – which means it’s time for summer camping! And what better way to kick things off than to head up to wine country? 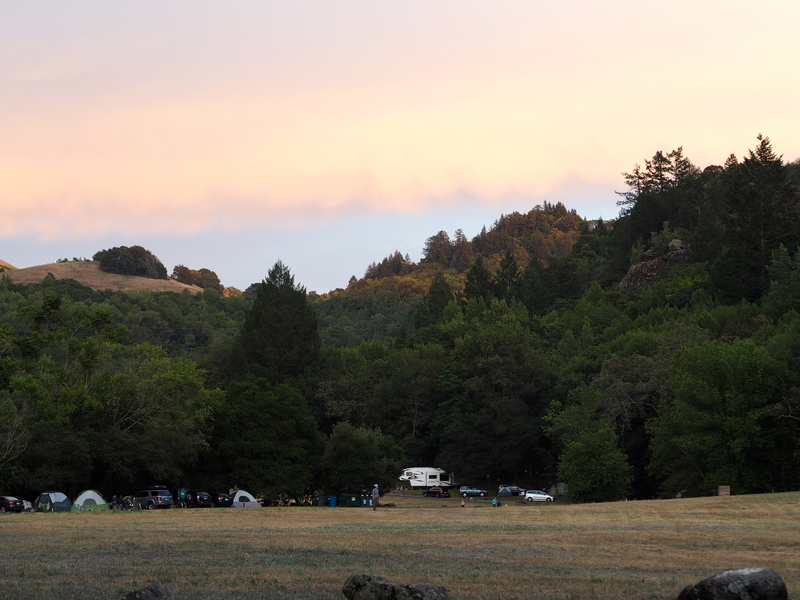 Sugarloaf Ridge State Park is situated in the quant town of Kenwood, which is about 30 minutes away from Sonoma. 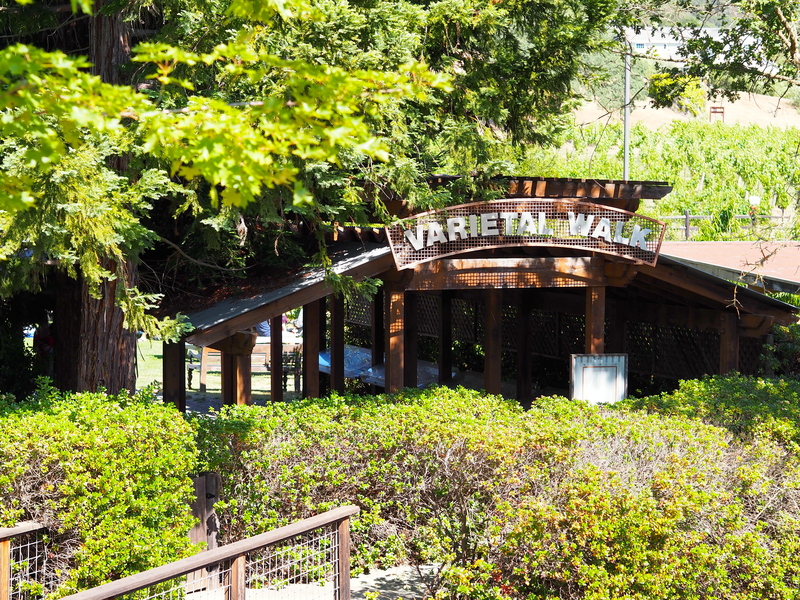 Nearby wineries include Benzinger (which also has a fantastic picnic area), B.R. Cohn, and Arrowood. After partaking in the obligatory wine tasting (or three), we settled into camp. I have to admit, at first glance, I was a little disheartened. The campsites were quite close to each other and distributed in a large circle. Certainly a departure from some of our recent backpacking trips where you have an entire piece of land to yourself! However, there was a large sweeping meadow in the middle, offering lots of space and gorgeous views. Our campsite was also tucked beneath the trees which gave a little more privacy. At night, the meadow transforms into the perfect stargazing locale. It was a bit foggy, but typically the sky is pretty clear. As the stars began to come out, it was time for a quick night hike. One of the coolest things about Sugarloaf is they have a planet walk, where the distance between each of the planets is directly proportionate to that in the solar system. With this planet walk, you can actually “walk” to Mars. The Robert Ferguson Conservatory is also located within Sugarloaf. It is closed to the public most nights, except for when they have star parties. There was a private event going on when we stopped by on our night hike, but the staff was nice enough to let us take a peak into their giant telescope. 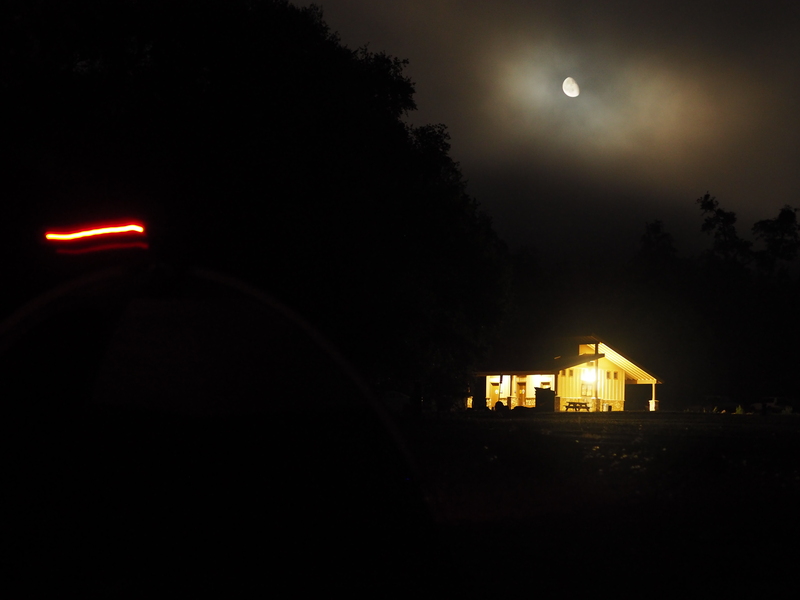 The campsite reservations book very fast when the observatory is open to the public, so make them far in advance!